High performance butterfly valve. Triple offset disc for tight shut-off and to eliminate seat wear. Flowserve NAF Torex can be used both as a control valve and as a shut-off valve, in a wide variety of applications. Modular design with several seat options. Equipped with NAF’s unique maintenance-free o-ring stem seal design. 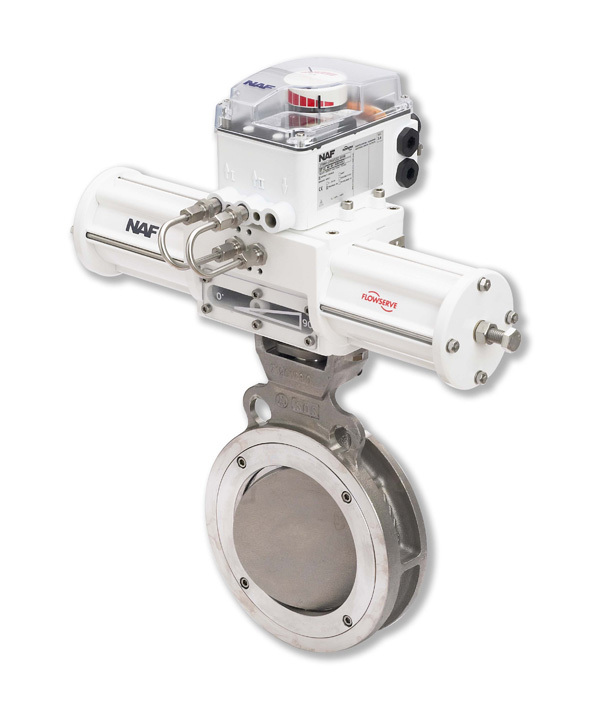 Flowserve NAF Torex is an integrated part in the NAF control valve package with a unique direct mounting concept. Available in Stainless steel and other high alloy materials.